Waves of nausea interrupted my sleep. No one told me I would feel sick. Yes, I had been warned about morning sickness long ago, but no one told me I would be physically sick with grief after we took our firstborn to college. I stared at the ceiling, remembering all the smiling faces of friends who had gone through this before me; no traces of any internal agony that I could recall. I got up to check my e-mail. My son’s name jumped out at me from my Inbox. Hungrily, I read Ben’s first communication from college. He was just asking for some information,but I focused on the P.S. : “Love you guys.” I had bottled up my tears for days and finally let them flow. I was very grateful for e-mail to help relieve the intense separation I was feeling. A friend called later in the morning to ask how I was doing. I appreciated her thoughtfulness so much. “I want to do that some day for someone,” I thought. “Your P.S. is a VERY good point. Thank you very much for helping me trust the Lord. This is just another thing I need to learn. I appreciate your simple, but profound reminder. I THINK I have been concerned about others hurting you in some way, not about you as much, since I know your faith is genuine. ”I know I want you to be at the University of Florida. I know it will be a tough environment for a Christian at times. I know it is important, necessary, and inevitable, that you must begin your own life, but I miss having you around (so I love hearing from you). The Lord “said” to me in my Quiet Time that it would be selfish of me to deny you new experiences, new education, and new independence, even if there is potential risk in each of those areas. I know I do NOT want to deny you those things, so I must learn to trust Him with the risks and learn not to be selfish. The Lord also reminded me that we have an eternity together with Him, so this time is short in comparison. As I re-read my letter and clicked “send,” I knew the Lord had healed my heart. NOTE: Sus wrote this popular post right after Ben left for college in 2003. 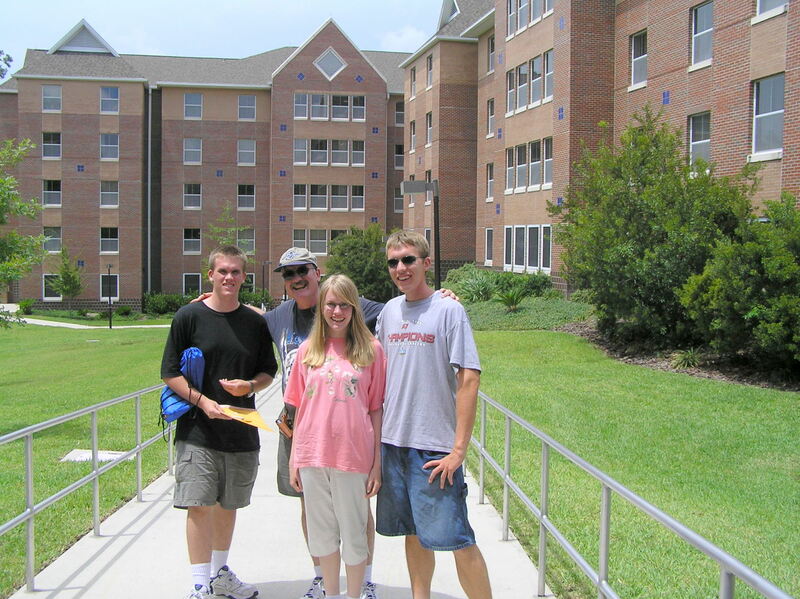 We are re-posting for all those parents who are sending their first child away to college. We recommend How to Stay Christian in College by J. Budziszewski. This book was published recently, but we haven’t read it personally: Thriving at College – Alex Chediak.